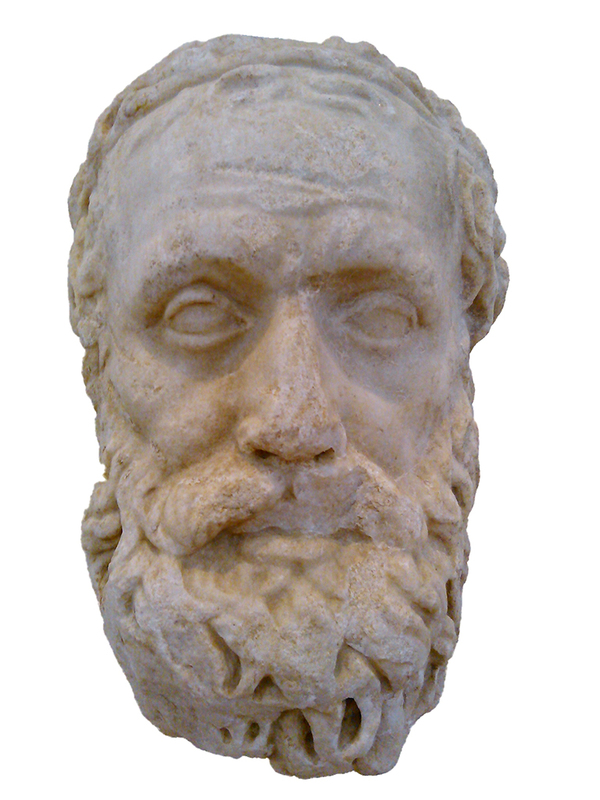 Known as “The Father of Tragedy,” Aeschylus was born circa 525 BCE in Eleusis, northwest of Athens. As a youth, he worked in a vineyard and fought in The Persian Wars. He wrote his first play around the age of 26. Of the estimated 70 to 90 plays he wrote, seven have survived: THE PERSIANS, SEVEN AGAINST THEBES, THE SUPPLIANTS, THE ORESTEIA trilogy, consisting of AGAMEMNON, THE LIBATION BEARERS, and THE EUMENIDES, and PROMETHEUS BOUND, whose authorship is disputed. All of Aeschylus’s extant tragedies won first prize at the Dionysia, the annual dramatic contest held in Athens. He is believed to have died circa 455 BCE.